OpenGov recently spoke to Mr Farid Arif Binaruno, Head of the Planning Bureau for BAPETEN (Nuclear Energy Regulatory Agency), about BaLIS Exim (BAPETEN Licensing and Inspection System for Export and Import) which is a web based online service system, facilitating applications for declarations of export-import of goods associated with ionizing radiation sources and of nuclear materials. This month, their new platform BALIS ONLINE, a continuation of BaLIS Exim, will be integrated in real-time online with more than 80 banks in Indonesia to facilitate the clearance of payment. What is your role and responsibility at BAPETEN? As the Head of the Planning Bureau, my main responsibilities are (1) to coordinate BAPETEN’s program planning and budgeting with the Ministry of Finance, the National Development Planning Agency and The House Of Representatives; (2) to manage information system and scientific documentation; and (3) to establish both international and national cooperation. What is your current area of focus and your plans for the next 1—3 years? d. Budget allocated in the medium and long term development program. c. Disaster Recovery Documents as required should any failure occur. By performing the two most important dimensions, it is expected that BAPETEN can achieve an ideal level of Information and Communication Technology. What projects are you and your department currently working on? 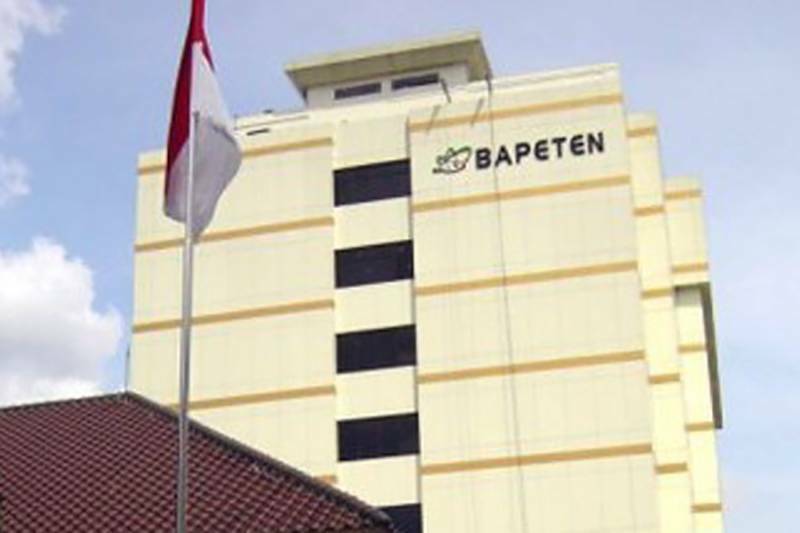 BAPETEN is a Government agency which has the duties and functions to supervise the utilization of nuclear energy in Indonesia through the development of regulations, issuance of licenses and implementation of the inspection. In carrying out its functions and duties BAPETEN is committed to providing excellent service to the public, especially the licensees, through the improvement of ionizing radiation source license application service. In line with BAPETEN’s commitment, BaLIS ONLINE, an online system application for the issuance of licenses to utilize Ionizing Radiation Sources in Indonesia, is under way. BALIS ONLINE, a continuation of BaLIS Exim, is an online licensing service system for all types of utilization of ionizing radiation sources. In cooperation with the Ministry of Finance, this application will be integrated in real-time online with more than 80 banks in Indonesia to facilitate the clearance of payment. The Online Application is planned to be launched in January 2016. Could you tell us what work went into creating BaLIS Exim? BaLIS Exim (BAPETEN Licensing and Inspection System for Export and Import) is a webbased online service system integrated with the portal INSW (Indonesia National Single Window) launched at the end of 2012. The system is built with the aim to provide the best service to the license applicants in applying for declarations of export-import of goods associated with ionizing radiation sources and of nuclear materials. The implementation of this system is expected to facilitate the submission of application, speed up the process of issuing export-import declarations, thereby reducing the dwelling time at the port and eliminating the use of paper. Before BaLIS EXIM Online was implemented, the applicants for export-import declarations of ionizing radiation sources needed several days to collect the goods from Customs and Excise. This resulted in the importers having to spend quite a fortune to rent temporary space while the goods were in port prior to their collection—not to mention the uncertainty of the process time to issue export/import declarations. This ultimately created a bad precedent for the public service performed by the government to BAPETEN’s license applicants. The aforementioned happened because the process in force is not yet fully computerized. The process of issuing export-import declarations was done manually and, hence, the process could not be monitored with certainty. In order to apply for export-import declarations, applicants were required to submit an approval application to BAPETEN, and waited a few days to obtain an approval from BAPETEN. The applicants would then have to apply for import declarations at the Customs and Excise office to collect the goods from ports; only then would the applicants be allowed to collect the goods from ports. The chain process took several days until the goods could finally be collected from the ports. How do you manage all of the service approvals through the electronic system? Licensing service system is made in an information system integrated with several other supporting information systems. The database is placed in a server that is backed up regularly to another storage media and also to a server in another location. Database security is done by establishing user leveling to access rights and log process is monitored by an administrator. The data is managed by the data owner—the Directorate for Licensing of Radiation Facilities and Radioactive Materials—while the management system and the hardware for database storage server are managed by the Data and Information Division under the Planning Bureau. How do you make this service more accessible to the end user? To facilitate users to access the application system, the application is placed in the area of the internet that can be accessed anywhere. The display is made based on the applicants’ institutions and the method of input is structured based on administrative and technical data. Applicants can monitor the progress of the approval process that is being submitted. The application for approval to BAPETEN will be connected with INSW portal for issuing import declarations by Customs and Excise to collect the goods from ports. Hence, with just one login, the submission of the approval application to BAPETEN includes the import declarations issued by Customs and Excise to collect goods from ports. What are the greater outcomes you are looking to achieve? • Increase the licensing service to expedite the process of issuing import declarations. • Contribute zero dwelling time to the export/import processes in the ports by ensuring that the issuance of import declarations does not hinder the process of export-import at ports. • Elimination of hardcopy documents because the whole process and the outcome documents are submitted online to Customs and Excise via web service. What is the time frame for roll out of the next phase/coming improvements? Since the launch of BaLIS Exim Online, BAPETEN continues to develop advanced features in the application with the aim to improve service, among others, the addition of the menu Transporation Online, Determination of Termination Online and Negative Filing Statement. Further innovation is the planned launch of a new application for Online Licensing BAPETEN called BaLIS ONLINE at the beginning of next year. Are you the first in market or is there another government agency in other countries that is embarking on a similar project? BALIS Exim is the third system merged into the INSW portal but BAPETEN was the first to claim 100% paperless submission of approval for export-import of ionizing radiation sources to the Customs and Excise through web service host to host with the server at the Customs and Excise office. BaLIS EXIM is part of the INSW project of which the main objective is to facilitate the flow of export-import of goods at ports. This application is developed in collaboration with the Ministry of Finance in particular with the Directorate General of Customs and Excise as the manager of the traffic of goods at Indonesian ports. Thus, BaLIS EXIM—an online application that is connected directly (host to host) in real-time with INSW Portal (Indonesia National Single Window) of the Customs and Excise—is created.